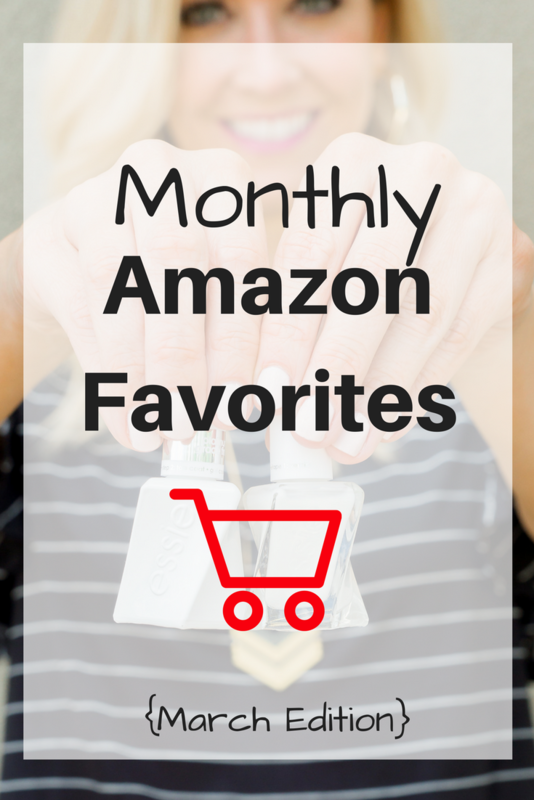 My favorite Amazon finds for March are some of my all time favorite things that I use daily. This steamer is life changing, I’ve saved some major moola with at home mani/pedis and these leggings are legit with the most amazing price tag. Not to mention my hair is soft and shiny from my two new favorite hair products! I also shared my favorite picks from January in this post. I sure do love a good pair of Lulu’s but those pups are over $100. When you workout a few times a week and need a few different pairs of leggings that adds up quickly. My best friend bought these leggings first and raved about them so all of us followed suit and bought them too. They are high waisted, come in a million and one colors and ONLY COST $20!!! I saw a bag just like this on other popular clothing sites but wasn’t willing to pay $175 for a straw bag. 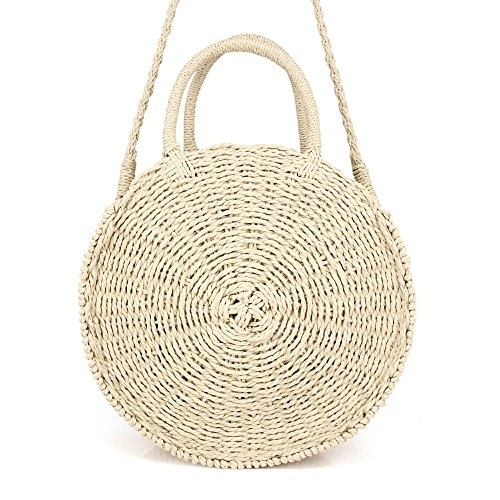 Of course Amazon came to the rescue and I found this very similar straw bag for just under $40. It is Free but not Prime. Shipping only took about 4 days to get to my house. It has a crossbody strap or handles, is lined and has a side pouch for keys, lipstick etc. It is big enough to hold a full wallet, phone and few other items. I borrowed this little straw clutch last year at the RewardStyle Conference. It is the perfect little clutch with summer dresses and packs easily into a suitcase for a beach vacation. It is only $35 so not breaking the bank. This clutch isn’t huge, so only a credit card/license, phone and lipstick will fit. I wear flip flops and sandals all day every day and my feet look like I wear sandals all day every day! They are dry, cracked and gross. Wrap your feet in these booties and over the week all the dead skin will peel off. It sounds odd, gross and weird but it is so satisfying. 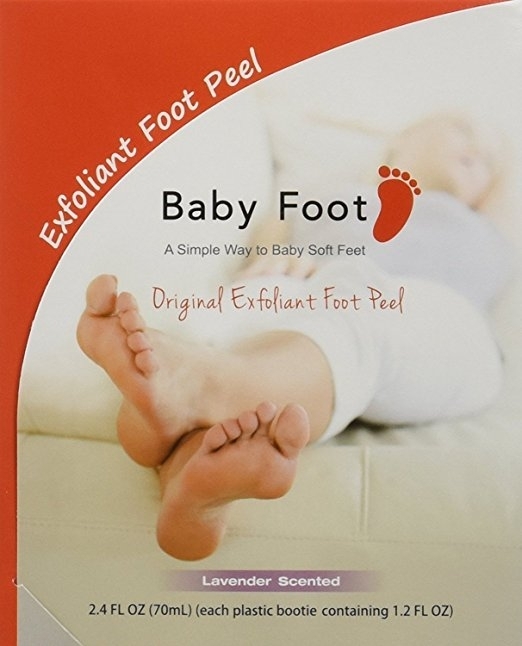 Your feet will be “baby soft” and feel amazing. Just don’t do this after you have applied self tanner. That was a lesson learned the hard way! I don’t know about ya’ll but I do not love getting my nails done and I don’t like spending $40+ every other week. I kept hearing that the Essie Gel Couture nail polish was good but I didn’t know it would be THAT GOOD! I painted 2-3 coats of white in “Pre Show Jitters” and then one top coat of the clear gel. My mani lasted over a week! You can remove it with regular nail polish and it is quick dry so you don’t have to sit around for 30 minutes waiting for you polish to dry. The gel top coat can also be used with any of your regular nail polishes. I didn’t feel like it lasted as long but I still got a solid 5-6 days out of it. Between my kids and pets I constantly have spills and magical stains that pop up on the rug or carpet upstairs. They need to be cleaned right away but I am also not going to rent one of those behemoth machines from the grocery store to steam clean my carpet every time I turn around. 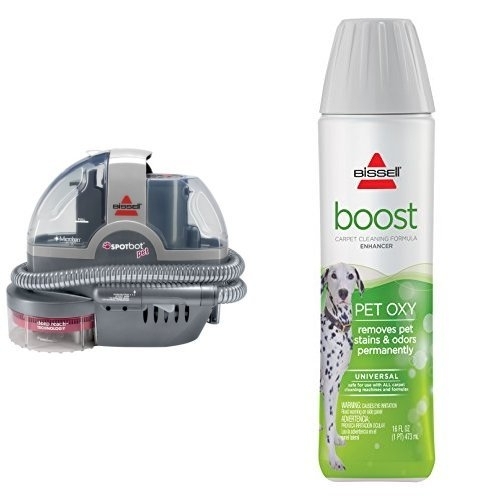 I actually bought this spotbot carpet cleaner a few months ago and have used it every few weeks since. It took the giant spot of Nutella out of my light grey rug and the giant red spill out of the carpet upstairs. It is easy to fill, empty and I can buy the cleaning solution right here on Amazon. This dry conditioning spray is my next favorite thing after dry shampoo. After a few days of not washing my hair the ends start to resemble straw. A little spritz of this dry conditioning spray and my locks are shiny and silky. This spray also smells amazing! Ironing is so 10 years ago! The boards are bulky and irons can be expensive. 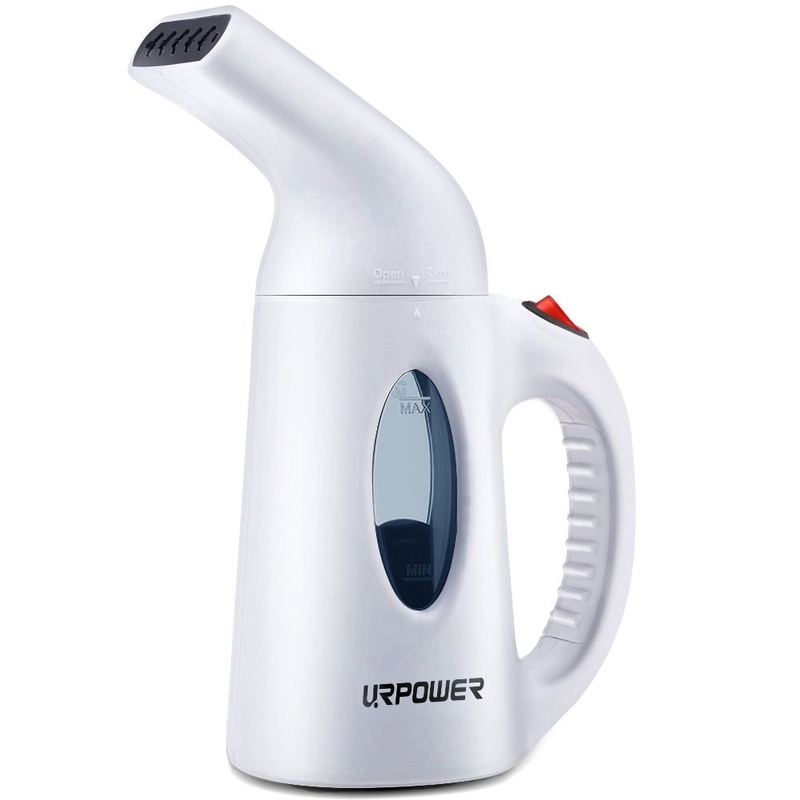 This portable steamer is a major game changer when it comes to wrinkles. This little dude heats up in two minutes and only costs $19.99. I have taken it on trips with me and love the functionality of it. Not to mention I don’t need an entire closet to store it! 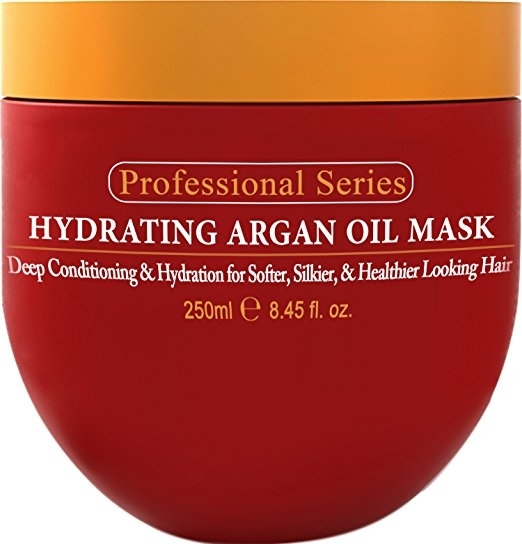 I like to use this $12 deep conditioner on my hair two times a week. It really helps keep it soft and shiny. As a blonde my hair can get pretty crispy after a hi-light session. The next day I will rub this all over my hair, put it up in a pony tail and let it sit for 30 minutes while I fold laundry or watch tv. After washing it out, my hair feels amazing. Man I love Amazon! If you have any must haves, favorite Amazon finds or just plain good deals from Amazon I would love to hear about them in the comments below or shoot me an email sara@hauteandhumid.com. I always love hearing about other peoples steals, deals and favorites. As always, you can find all of my looks from Instagram or the blog HERE.